Should I Take My Equine Dispute to Small Claims Court? Small claims court is designed to be a user-friendly forum for consumers, where they can represent themselves and recover on relatively small debts in an informal environment. Many equine cases, particularly horse sale and purchase disputes, involve damages of a few thousand dollars or less and therefore are perfectly suited to small claims. However, not every horse-related legal matter is appropriate for small claims and therefore we have prepared these guidelines to assist you in evaluating your case. Claims where you are seeking money damages only in an amount equal to or less than your state's small claims limit. Claims that exceed the small claims limit but may be too expensive to litigate in regular civil court, such as claims in the $10,000 - $15,000 range. Note that in such cases, you would have to reduce the claim amount to the small claims limit. Claims that are not rock-solid, especially those with more emotional than legal appeal. The cost of litigating in small claims is low, so if you lose, it likely will not cost much more than your time and filing fees, which are usually less than $100 (but note that if the other side incurs attorneys' fees, you may have to pay them). Claims of $25,000 or more. Claims where you have a good basis for recovering attorneys' fees (such as a breach of contract case where the contract specifies attorneys' fees, or a case that involves a claim providing for statutory damages, such as federal copyright disputes). Cases where small claims will have no jurisdiction over the defendant, such as where the defendant lives outside the United States. Cases in which you are seeking an order for the other side to do something, such as give you possession of a horse. 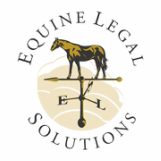 For assistance in determining whether your equine legal matter is appropriate for small claims, Contact Us to schedule a consultation.